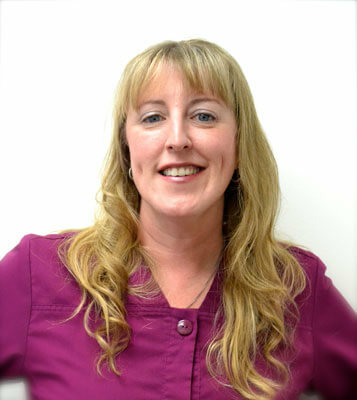 Kristen is from Dunstable, MA and has been working at Tyngsboro Family Dental as a dental hygienist for over 20 years. She started her career in dentistry as a dental lab technician in high school. Midway through her college years at Middlesex Community College, she transitioned to orthodontics. Kristen obtained her dental hygiene license and orthodontic assisting certification in 1994. She enjoys providing a healthcare service that makes patients more confident about their smiles. Outside of the office, she loves spending time with family, friends, and her pets. She also enjoys baking, working in the yard, and working on her house.